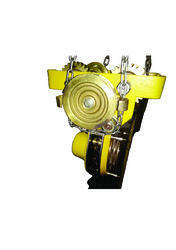 Manufacturer of a wide range of products which include traveling trolley non spark cap. 2t x 3mtrs lift and spark proof travelling trolley 3t x 3mtrs. Non-Spark (Spark Proof) Travelling Trolley for Petrochemical haphazardness areas. Capacity - 2Ton x 3mtrs Lift. Capacity - 3Ton x 3mtrs Lift.